Winter is upon us and for jackets sweaters, boots, tents and other winter gear there’s no better place to go than Sierra Trading Post. I should know, I married a self-proclaimed “mountain man” who lived in Colorado for many years. From skiing to camping to trail running he’ll talk your ear off with a huge smile and tons of stories (some sound like tall tales and fables if you ask me, like the one about 1,000 coyotes running around his tent in the middle of the night). Following his lead our family has gotten more and more into camping, from Joshua Tree here in So-Cal to Yosemite and up the coast in Oregon and Washington. I first thought my husband’s obsession with all of those outdoor brands was just about him looking cool (his trademark look is a bright Marmot vest). After camping with a friend of mine in the cold rain and snow I realized the vast difference in quality between the real outdoor clothing and gear brands from everything else. If you haven’t experienced for yourself being soggy and cold from wearing sub-par winter clothes or sleeping in a tent or sleeping bag that isn’t from a legit brand, take it from me that it can ruin your day and night! 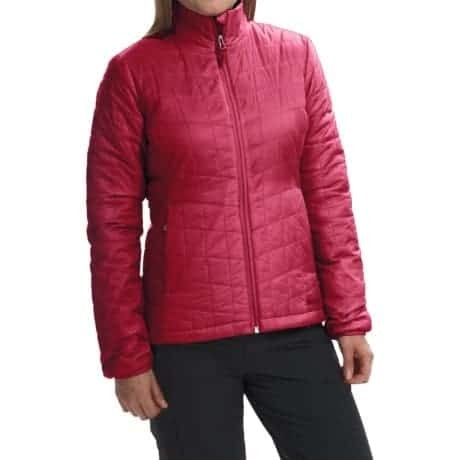 The eye-catching color of this Marmot Calen Jacket – Insulated (For Women) is amazing: down to $99.99 compared to $160 elsewhere. 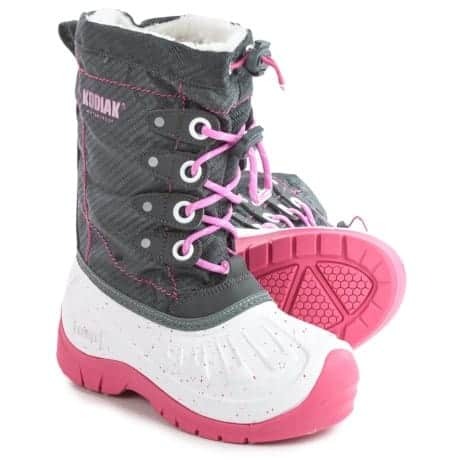 My kids will love these stylish and warm Kodiak Upaco Cali Pac Boots – Waterproof, Insulated (For Little and Big Girls) low price of $34.99 compared to $79.99! 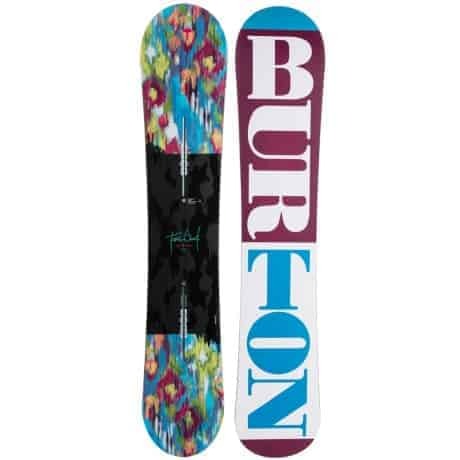 This Burton Feelgood Flying V Snowboard design is brilliant, at $399.99 compared to $579.95. 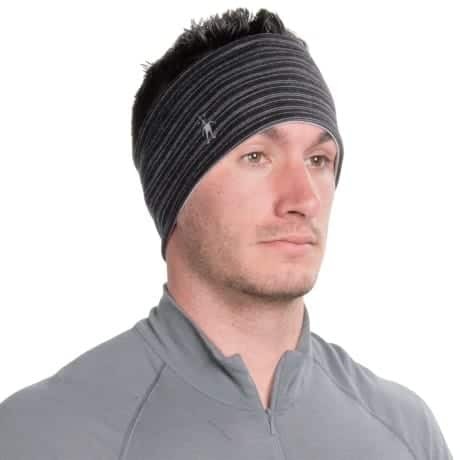 And I’m definitely picking up this SmartWool NTS Pattern Headband, just $9.99 compared to $22. 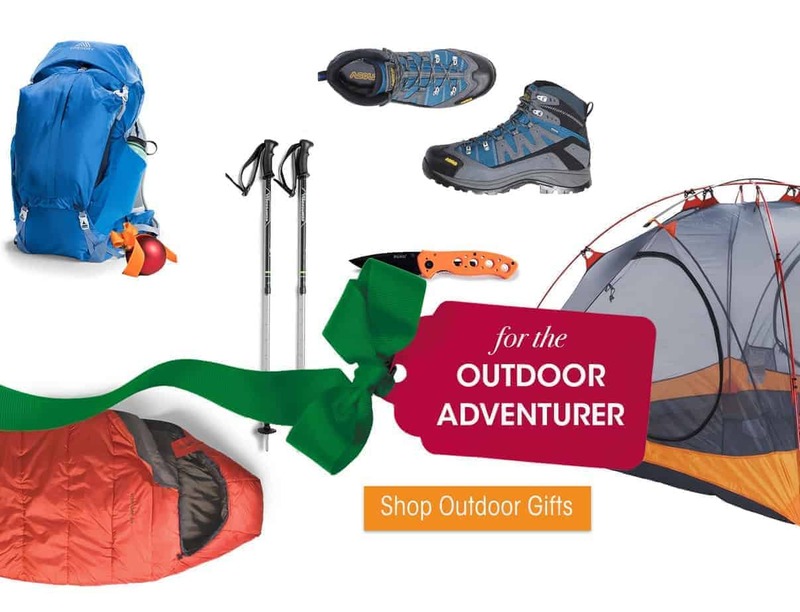 There are a number of things to look for when shopping for outdoor gear online, and Sierra Trading Post really shines in these areas:. – Brands: From the brands you’ve heard of like North Face and Marmot to those that you need to know about like KJUS and Bogner, you’ll want to shop at a single site that has these covered. Sierra Trading Post nails it in this department. – Price: I go to storefronts exactly once if they don’t have the best prices around. Sierra Trading Post has very low prices on every item, and seeing things like “80% off average savings” on an entire category puts my shopping mind at ease. Seeing what the regular price is side-by-side is helpful, and as you might expect, their Barn Burners section has insane deals. – Selection: It’s annoying when you go to a website and get excited about finally finding something that looks decent, only to find out they only have it in one size. As you browse the site more you realize that’s always the case… their selection is skimpy and only have one or two of each item. You’ll waste an hour, have an empty shopping cart and turn your back on that site forever. Sierra Trading Post is the real deal, a leader in the industry has what I’m picturing as an absolutely massive warehouses. – User Experience: Most storefront websites still don’t have the basics down for searching, filtering and sorting! The ability to do this in tandem with one another at multiple levels is key. I love the interface of the website Sierra Trading Post. There are about 4 levels of drilldowns to easily get to what I’m looking for (anything from women’s boots to kids’ jackets to snowboards to pet gear). I can then filter by brand, size style and more. There are no annoying pop-ups, but there are some notices for 20% off coupons, etc. – Service: Especially when shopping online I want great service and some sort of guarantee. They have a satisfaction guarantee and a 90 day return policy. – Fun Factor: I don’t really snowboard but I love looking through the styles of the Burton gear on this site, then switching gears and checking out their yoga gear, sunglasses or fitness gear, just to name a few areas. While our main focus is camping and gear for the winter, I like that this site has more to poke through. The brands are cutting edge and stylish so browsing through them is enjoyable. Thanks for sharing these great deals. We need to replace several articles of winter clothing, and these deals will make that a lot easier on the wallet. All travelers must buy all of this. Looks very cool and this is a perfect outfit for winter. Sierra Trading has so many great options and the prices are terrific also. I am in love with several winter boots on their site. Lots of great gift options here! I really love that jacket! So my blue. I checked out a Sierra Trading Post in Washington but wasn’t feeling it sadly. Maybe I’ll have to give it another try. These are great deals. My niece and her boyfriend love camping and hiking. These are wonderful gift ideas. These all look like great, quality products! I may need to check out the Sierra Trading Post for gifts this year! What a great list for this season. Especially for my brother who loves the outdoors. Thanks. These are all great deals. I am happy to say I am finished shopping for the holidays but now I need to pick up a few things, I love that color of coat, my daughter has to have it! We love playing outside in the winter with the boys! These are some great ideas! I miss going camping during the summer. I have been eyeing some boots for Christmas so I will have to check out their selection. I love to shop at Sierra Trading Post. They have a great selection for the whole family. I need to get a new coat soon. These all sound like great deals. I’ve never shopped here or even heard of it before. I need to check it out. I really like those boots. So many options. I think anyone gearing up for winter can find something here. These are some great options! My kids would love a few of these. Unfortunately, it never quite gets cold enough to wear some of these. I love to shop at Sierra Trading post. You can get so many great deals. Many of these brands are quite expensive. I am in denial that winter is coming so soon. Those PAC Boots are just too cute! Love the color! Sierra Trading has so many great options and the prices seem great! I loved those boots! That is one awesome snowboard!! I love snowboarding! Really liking what I’m seeing about Sierra Trading Outpost. I love the outdoors, but enjoying it comfortably can be priey. I love these! Now you make me want to go snowboarding! These look like great products to have during the cold winter months. I’m going to go check out the Kamil Fleet Pac Boots.